The Berman Nissan of Chicago Personal Car Finder Program is the better way to buy a car! With over 1,500 vehicles in inventory, Berman Nissan of Chicago’s Personal Car Finder Program will conduct a nationwide search for the exact vehicle that you desire and will provide one that meets your needs. Our award-winning service team members will leave you assured from the moment we receive your inquiry that you’re in good hands. Our vehicles that we buy/sell are one-to-two-owner vehicles, with clean Carfax’s (accident free), and are impeccably clean. All of our vehicles go through rigorous testing and are in excellent condition to ensure you get the excellent customer service that you deserve. Save yourself time as WE WORK FOR YOU to provide a hassle-free buying experience! The Berman Personal Car Finder Program is easy! Simply fill out the information below and a dedicated Internet Concierge will be able to turn around your request within 24-48 hours. 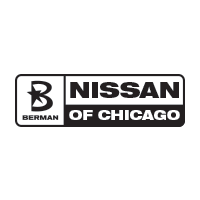 If you would prefer to speak with us, call Berman Nissan of Chicago today at 773-295-4650 for more information.